J'adore InJoy, is a new emotion added to the Dior J'adore family. An emotion that awakens all your senses. A happy and lively perfume. An ode to life, a perfume that stands for fun. With Mothers Day coming soon this might be the perfect gift for your lovely mom. Let's discover this new fragrance together in this post. 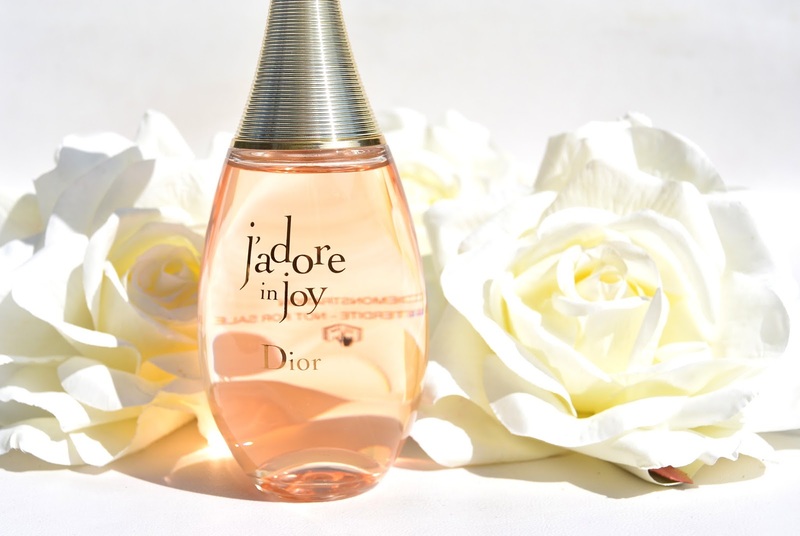 As usual with the Dior J'adore fragrances, the bottle has had the same inspiration as the previous. 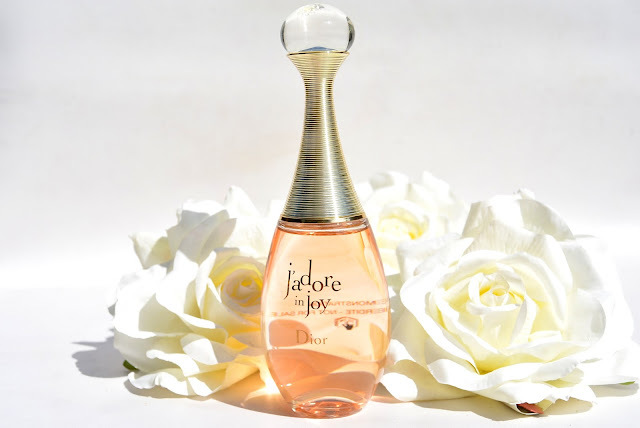 The J'adore Dior bottle is inspired on an '8' silhouette. Silhouette 8 was also the name of the first Dior collection in 1947. 'Figure 8' is a name that suggested the silhouette of the new looks with their prominent shoulder, accentuaded hips and small waist. 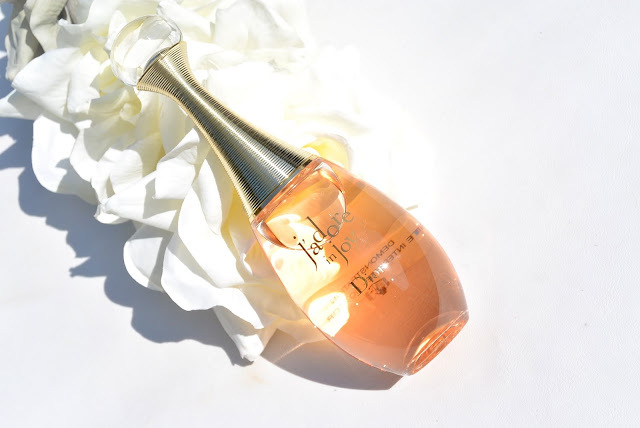 Dior J'adore InJoy perfume has a golden peachy touch of color. François Demachy (nose of the house Dior) found his inspiration for this new perfume in his fantasy. 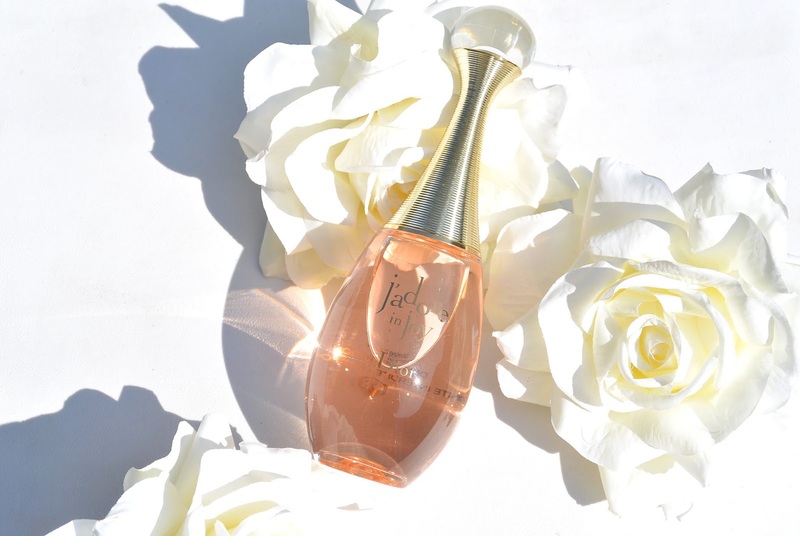 This perfume is the representation of dreamed flower in his imagination. These ingredienst make Dior J'adore Injoy a happy, sensual and beautiful perfume. 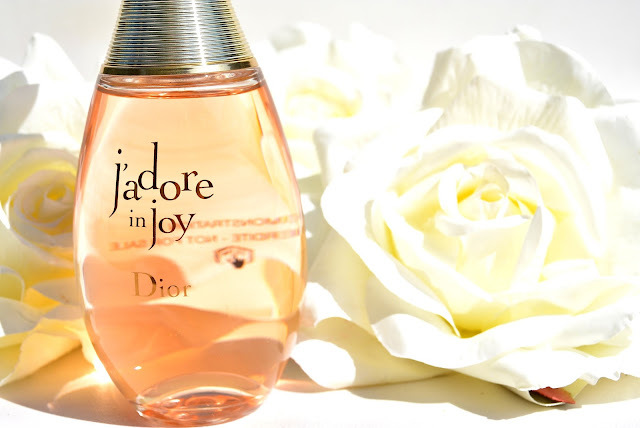 Dior J'adore InJoy gives you an instant feeling of pleasure. 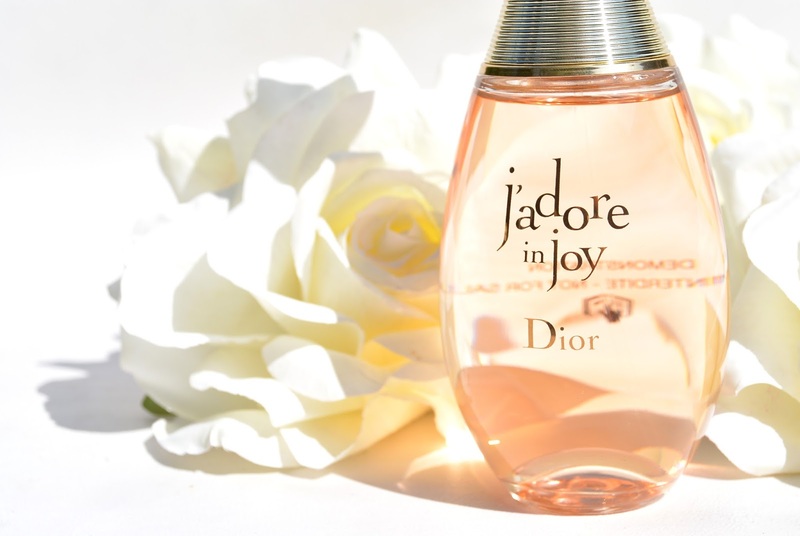 This perfume is not one you only smell, but you really can feel the joy. What do you think about this new addition to the J'adore family? Have you ever tried a J'adore perfume before? Oh this looks good! I love Ylang-Ylang and Jasmine but mostly in shower gels, I haven't tried Ylang-Ylang in perfume before I think! Klinkt goed! Vooral de combinatie van ylang ylang en jasmijn, daar ben ik zeker voor te vinden!